Apple on Thursday revealed the "next step" in Retina display technology by packing what it calls the "world's highest resolution display" into its popular all-in-one desktop. The all-new iMac with Retina display boasts a 5,120-by-2,880 pixel resolution with a total of 14.7 million pixels crammed into a 27-inch panel, which Apple calls "Retina 5K display." 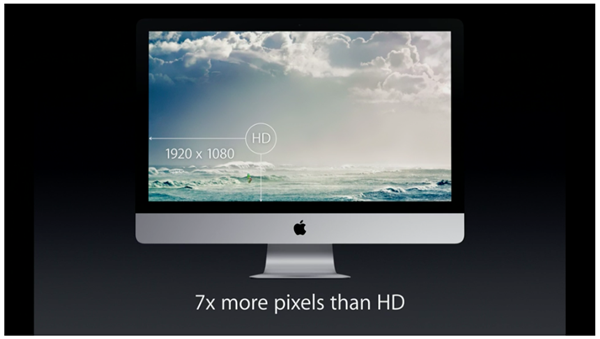 Compared to a 4K display, Retina 5K has 67 percent more pixels, or seven times the pixels of a normal HD display. The pixel-dense panel is shoehorned into a chassis that is only 5mm thick at its thinnest edge. Apple needed to invent new technologies to achieve the super high resolution pixel densities in a small package, include oxide TFT, Organic Passivation to reduce cross-talk, new power-efficient LED backlight modules and a completely new timing controller. 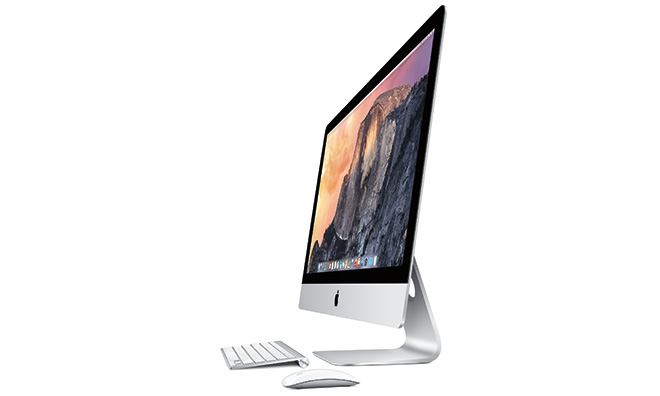 Despite the new graphics, the new iMac is 30 percent more energy efficient than the previous version. The new iMac starts shipping today starting at $2,499 with a 3.5 GHz Intel Core i5 processor, AMD Radeon 290X graphics chip, 8GB of RAM and a 1TB Fusion Drive. Build-to-order configurations include a 4 GHz quad-core Intel Core i7 processor with Turbo Boost speeds up to 4.4 GHz, AMD Radeon R9 M295X GPU, up to 32GB of RAM and a 3TB Fusion Drive or 1TB SSD. 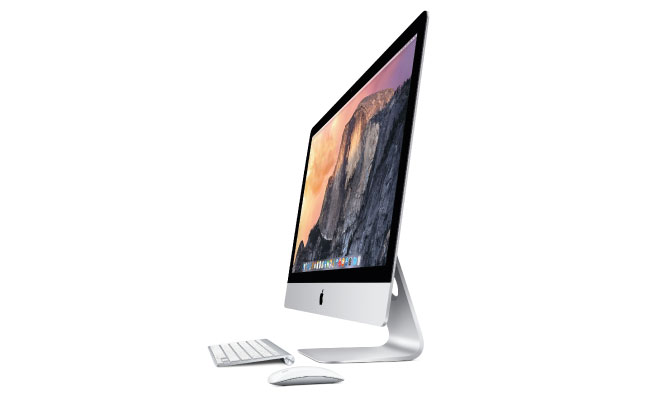 Thew new iMac with Retina 5K display is currently available for order from AppleStore.com and MacMall.com ($2,494.00), with MacMall offering the added benefit of only collecting sales tax in a handful of states. Additional discount retailers are expected to begin adding the product to their online stores over the next few weeks, so shoppers can keep an eye on the Price Guides.